Trigger warning: we are jumping on the Gillette bandwagon and no offense is intended towards any single patient with diabetes. 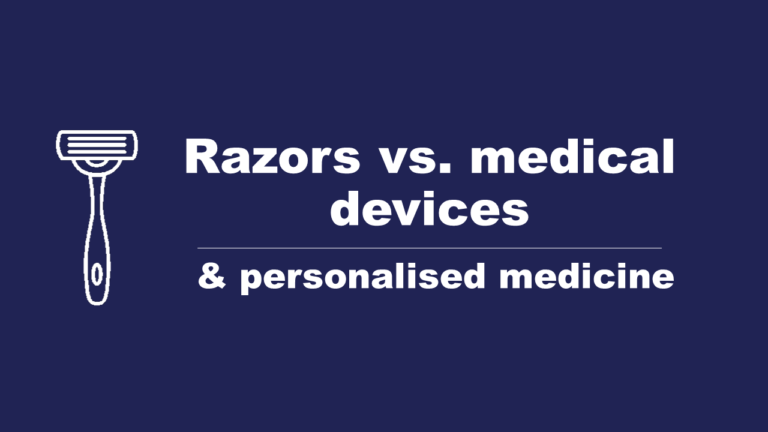 We see the medical market moving to more personalized tools as opposed to the male razor market which seems to lump all men together. This is not an article about male fragility, men are a tough lot and can handle shaving companies calling them toxic. The violin notes become more rapid and discordant and we see images of a long line of diabetics rampaging and causing problems. Gradually the music slows and becomes more melodic and inspiring. Suddenly we see a shot of a diabetic telling congress “diabetics need to hold other diabetics accountable” and the video begins to give general advice on how and what diabetics should be doing to police the behavior of other diabetics. If you have seen the recent Gillette ad you will know what I mean. If not, see the link at the bottom of this article. At this point the viewers may be divided on their opinion. Some viewers will say “Yes they need to do better” and some will say “this is an absolutely unbelievable and disrespectful stereotype”. 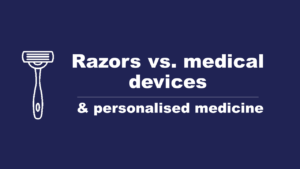 This is clearly an absurd scenario, but what would happen if your medical device treated you like your razor company did? What if your medical device company put you in large homogeneous groups called you bad and charged women patients more for their products than the men patients? Would it be wise targeting a group of patients with a disease they did not choose to have and assigning negative group characteristics and admonish them they must do better ? I would guess the ad would only serve to create an unrealistic bias against a large group of people. We see medical technology providing more personalized tools to help patients better manage their conditions. We are moving towards an age of personalized medicine. This shift in technology is producing tools for individual patients to manage their health according to their unique disease state, personal biology, health status and personal life situation. These tools are and will ultimately empower patients to have a better quality of life, live longer and avoid or delay serious health complications. It is not a disease that defines an individual. A person is not a Diabetic, they are an individual with Diabetes. It is the individual who defines themselves and chooses how they want to live with their disease. Luckily only our Razor blades have stopped treating us as individuals and placing us into large amorphous groups. Importantly our medical devices are more and more treating us as individuals and this will continue to improve over the coming years. In any group of people there are individuals who are highly conscientious and those which are not. There are patients which will use the full functionality of the tools available to them and gain the maximum health benefit possible. At the other extreme there are patients who will ignore these tools and possibly only deal with symptoms as they occur. At PURI we see these users that are conscientious, active and engaged in monitoring and managing their urine results. Most of us spend our time looking after our families, our friends, our job and social responsibilities. Somewhere in between we look after our health. This is how it should be for those of us fortunate enough to live in free societies. We have the luxury of being able to pursue our own forms of happiness and self-care and share that within our closest circles of friends and families. The message in the Gillette ad is that men need to be responsible for the actions of other men. What would you say if your medical device started to put you into a group and told you in addition to your daily responsibilities you must do better and be responsible for the actions of all Diabetics? Doe this seem an absurd proposition? Why a diabetic should be responsible for all other diabetics is unclear to me. How a diabetic can be responsible for all other diabetics is also unclear. That said, in the diabetic space we see many passionate people who voluntarily support other patients, run charities, volunteer etc. If you look on Twitter many patients with Diabetes state that their type of diabetes in their Twitter profile and use popular diabetic hashtags so other patients can find information. They share important links, news and campaign for goals that are important to the diabetic community. True human potential is realized through individual motivation and contribution based on personal responsibility. Those active people who voluntarily and passionately contribute should be greatly appreciated by the rest of us. At PURI we are just starting our journey and offer a free tool to store and track your Urinalysis results. 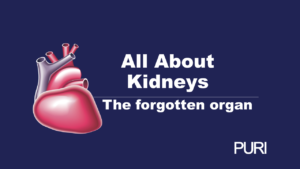 This assists in a small way for patients with Diabetes, Kidney Disease, Hypertension, UTI and Kidney Stones to keep and manage a small but important part of their health data. 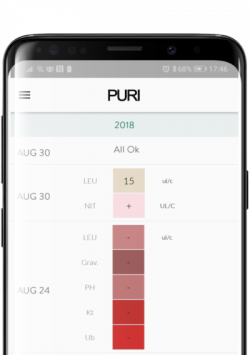 We want PURI to be a personalized experience and we are working in the background to bring you more useful tools to help you manage your disease better, if you so choose. We would love to hear from you and get your feedback so we can continue to serve our loyal customers. As for Gillette, it is only a razor blade. Our medical technologies contribute more to our quality of life and we have a much more personalized future to look forward to. The link to the Gillette video is below. If you want to store you Urine Specific Gravity results you can download the PURI urinalysis app for free on Google Play or the i-tunes app store.